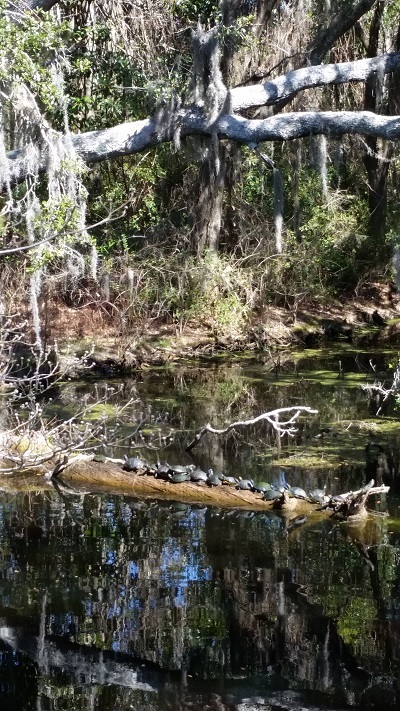 Today we visited the beautiful Airlie Gardens in Wilmington, NC, USA, and came across a contented herd of turtles sunning themselves on a log. The scene brought to mind the amusing “turtles all the way down” anecdote. On the surface, it makes fun of credulity. But I think it also has something to say about the nature of infinity and eternity. 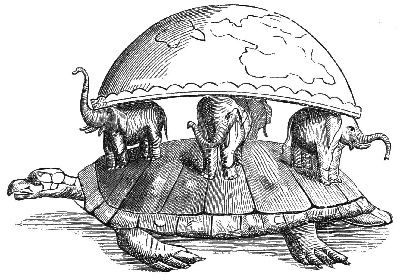 This story references a supposed Hindu cosmology that imagined the earth resting on the backs of a group of elephants standing on a tortoise’s back. “Turtles all the way down” makes me reflect on the idea of infinity. Where does the universe end? It’s turtles all the way out there. And, while I can imagine living on forever into the future, I have a hard time conceiving of an eternal being that has always existed. When did God begin? It’s turtles all the way back.